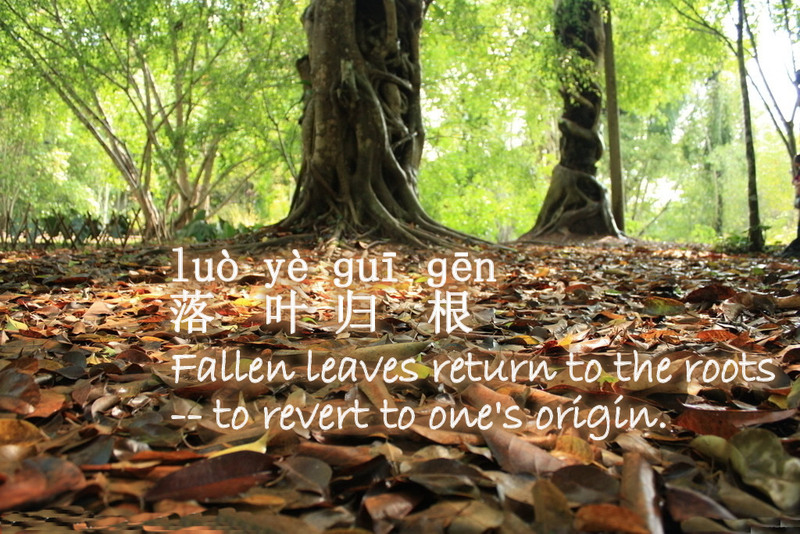 Learn Chinese Online: Learn Chinese Idioms: 落叶归根Fallen leaves return to the roots -- to revert to one's origin. Learn Chinese Idioms: 落叶归根Fallen leaves return to the roots -- to revert to one's origin. Fallen leaves return to the roots -- to revert to one's origin. Though a tree grow ever so high, the falling leaves return to the ground. but instead we both decided to return to our roots.